Middlemarch :: Show Information :: RabbitTV GO! This Masterpiece Theatre production, set at the cusp of the Industrial Revolution, chronicles, the life, loves, foibles and politics of the fictional English town of Middlemarch. 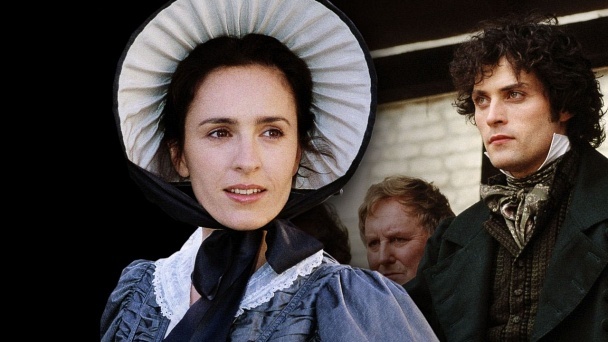 Adapted from the George Eliot classic of the same name, the plot centers on the socially conscious, but naive Dorothea Brooke, whose disastrous match to the pedantic Rev. Edward Casaubon sets in motion a chain of events that will change the face of Middlemarch forever. The efforts of the dashing young physician, Tertius Lydgate, to modernize the medical practices at the new hospital causes quite a stir, both in the political power structure, headed by the evil Mr. Nicholas Bulstrode, and the heart of sweet Rosamund Vincey, the town beauty. Smaller plots interweave the action and lead to reconciliation, resignation, remuneration and resolution.